Love, love, love Geneen Roth! When Food Is Love examines the motivations behind bingeing and obsessive dieting, and explains how such compulsive behavior sabotages intimate relationships. 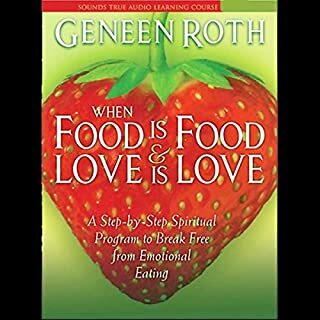 With compassion and penetrating wisdom, Geneen Roth reveals how to break destructive emotional patterns and learn to satisfy all the hungers, physical and emotional - that make us human. When Geneen Roth and her husband lost their life savings, Roth joined the millions of Americans dealing with financial turbulence, uncertainty, and abrupt reversals in their expectations. The resulting shock was the catalyst for her to explore, in workshops and in her own life, how women’s habits and behaviors around money—as with food—can lead to exactly the situations they most want to avoid. It is absolutely possible to transform your relationship with food. But it will take time, love and a willingness to be kind, curious, and tender with yourself. 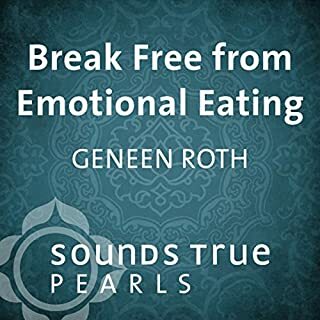 On Break Free from Emotional Eating, Geneen Roth reminds us of the joy and pleasure that eating is meant to bring us, helping us reclaim a healthy relationship with food through five key principles. This is a good intro but . . . In this guided meditation, Geneen Roth helps you to reconnect with your body, and learn to understand what it's trying to tell you. It's the first and most important step in changing your relationship with food and fully nourishing yourself physically, emotionally, and spiritually. In Appetites, best-selling author Geneen Roth looks beyond her 15 years of pioneering work with women, food, and body image to ask the greatest of questions: What truly nourishes the human spirit? Through the lens of her own life experience, Roth examines the core of spirituality and the feelings and behaviors that can mask it. What happens when deep inner need is answered only with external "satisfaction"? 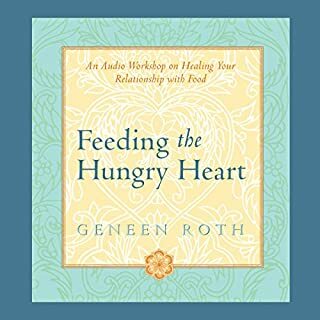 An audio exclusive program from the number-one New York Times bestselling author of Women, Food and God, Geneen Roth. Tells it like it is! Great Meditation also! When you turn to food for anything other than giving your body what it wants and needs, it is a symptom that there's more than physical hunger going on: an inner challenge. 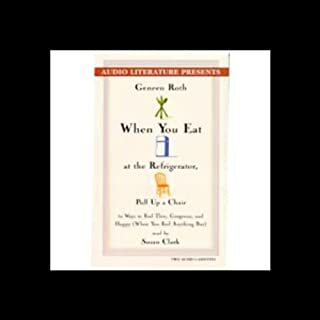 In Eat to Love, nutritionist Jenna Hollenstein leads a spiritual revolution against pervasive attitudes towards food and dieting, and demonstrates how to free your mind from the fear, frustration, and shame often associated with eating. Through a series of revelatory exercises, along with simple instructions for time-proven mindfulness and meditation techniques, you'll learn to identify prejudices around eating and reset your relationship with food. Eat to Love is not a diet book, not a "clean eating" manual, and not a guide to "being your best self." You deserve to Eat to Love! Internationally recognized coach and New York Times best-selling author Cheryl Richardson has toured the world empowering others to make lasting change. But when Richardson's own life no longer worked as it once had, a persistent inner voice offered unmistakable guidance: It was time to reevaluate her life to uncover what really mattered. For more than 17 years, Geneen Roth was either on a diet or on a binge every single day, and in the end there was one thing she completely understood: diets do not work. Today she leads workshops around the world for sold-out audiences, and her books have sold over a million copies. Now, she offers listeners Bite by Bite: her essential step-by-step program to help you determine what you are truly hungry for and to create a healthier relationship with food. A disordered eating teacher that speaks to us all! 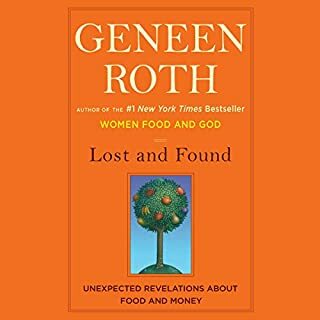 Inspiring, personal, and often spiritual reflections on how women can find peace, make wise choices, practice joy, and step into their power from Geneen Roth - author of the number one New York Times best-selling Women Food and God. When her misery with food ended - and didn't change anything except the size of her thighs - she kept trying to fix other broken parts of herself with therapy, intensive meditation retreats, and rigorous spiritual practices. Yet it was only when Geneen stopped trying to change or fix herself that she was at last able to feel at home in her mind, body, and life. Now, she shares the wisdom of giving up this project and finding the freedom, peace, and wholeness that await us just beyond it. 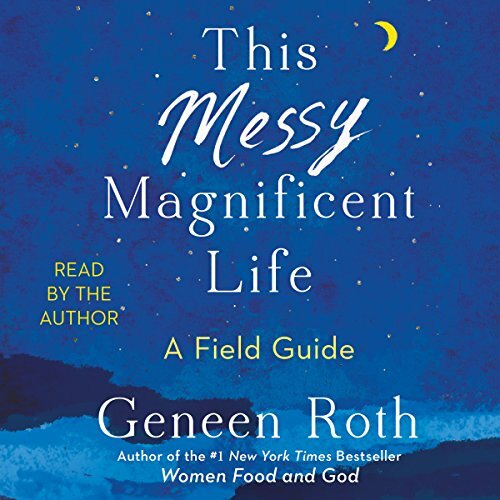 With humor, compassion, and insight, This Messy Magnificent Life explores the personal beliefs, hidden traumas, and social pressures that shape not just women's feelings about their bodies but also their confidence, choices, and relationships. This provocative, enchanting, and sometimes laugh-out-loud look at the imperfect path women take to step into their own power, presence, and ownership is based on the author's personal journey and her decades of work with thousands of women around the country. Roth embraces everyone's unique and often unsung potential and shows us how to be open, curious, and kind with ourselves; how to say no to people and ideas that hold us back; how to let go of grudges and anxieties; how to pick ourselves up after setbacks; how to say a resounding yes to the world; how to move from fixing ourselves to finding ourselves; how to find joy in the ordinary; and how to experience the extraordinary right here and now in our bodies. Where does This Messy Magnificent Life rank among all the audiobooks you’ve listened to so far? 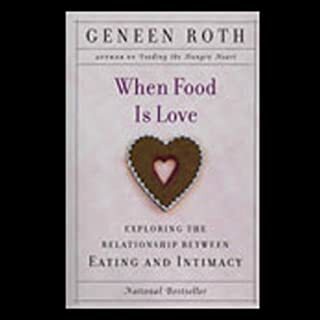 Geneen Roth talks about food but more importantly she talks about life. She encourages women to be their own authority in their life. This book guides the listener to quit paying attention to her inner critic (aka: crazy aunt in the attic) and do what is right for herself. Stop the self improvement, stop dieting, stop following other people’s rules, and live your own life. She ends the book with touchstones to guide the listener to be present in her life. i am a fan of Geneen Roth, but I felt like 90 percent of the stories in this book involve situations she has written about many times before, in the exact same way. There is always a time when an author who mines his/her own life to the degree that Roth has (I am also thinking of Anne Lamott, Auguster Burroughs, and David Sedariis here), becomes repetitive. This is that book for Geneen Roth. Her pace is a bit slow and deliberate, a little too theatrical for my taste. She is someone who appears to take herself quite seriously...nothing wrong with that, but she brings the same weight to every subject, which can grow tiresome. If you are new to Roth, there is probably plenty here to chew on. But if, like me, you are familiar with her work, then feel free to skip this one. You won't be missing anything new. This book is like a meditation. Full of wisdom, humor and truth. I both laughed and cringed at some of her insights, seeing myself in them. I will read this book again and again. To me messy means delicious! I totally enjoyed this book. It had even more impact hearing it in the author's own voice. Highly recommend being in the moment and soaking it all in! Beautiful, gentle reading dotted with notable pearls but generally scattered without a thread to lead us through. really enjoy all Geneens books. She is SO positive and really helps you look at things differently. I'll listen to it again. Very clear, powerful and helpful. l am not my thoughtand I have choices. Food is not the enemy. What a beautiful book and so touch with how we live our lives. Forever grateful. Geneen has a way of speaking straight to you heart. She's raw, honest, hilarious, and straight up real. She makes you feel less alone and less hypercritical of yourself. This is a short book, but a powerful one. If you're a woman who has ever felt obsessed by her weight, struggled with disordered eating, or felt like you're not enough, please check this out--you won't regret it. I've recommended this author to multiple people, and hearing the audible version narrated by the author is always a special treat. I have listened to this book three times! It speaks to me on so many levels and helps me reflect when I am in a binge eating episode. I loved everything about this book. Loved Geneens honesty about the workings of her mind.Learned some life changing lessons!! A must listen!